This was the first of two Scout visits in an evening. 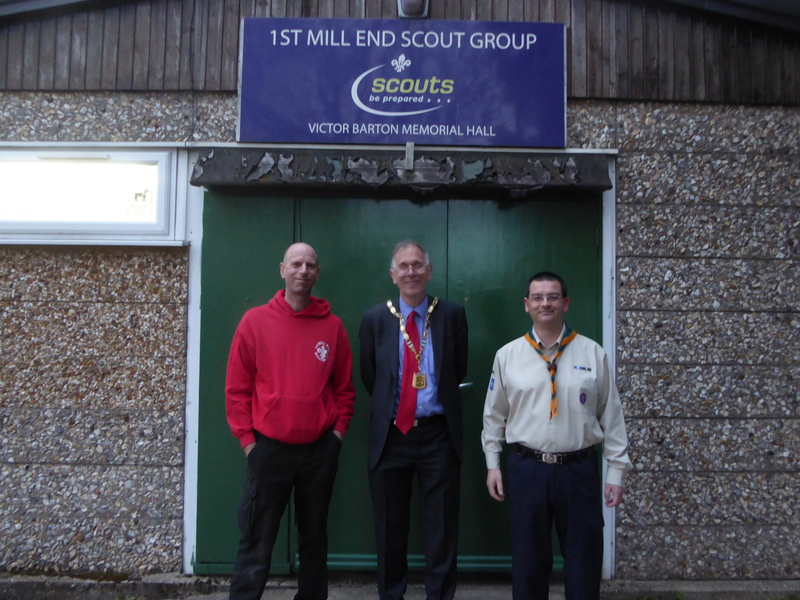 After the Scout Leaders had carried out their inspection, I did a Q&A session with the Mill End Scouts. Six years ago when I was Chairman, I was made an honorary Mill End Scout. A quick photo with the leaders was taken before I left.